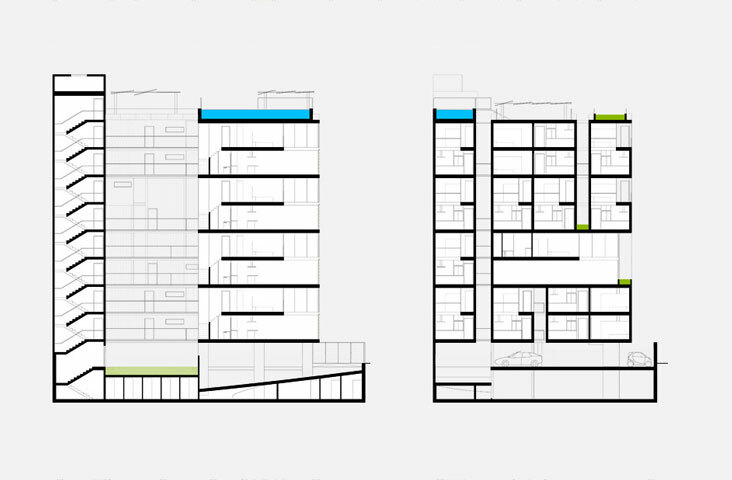 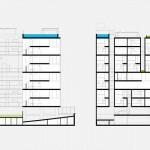 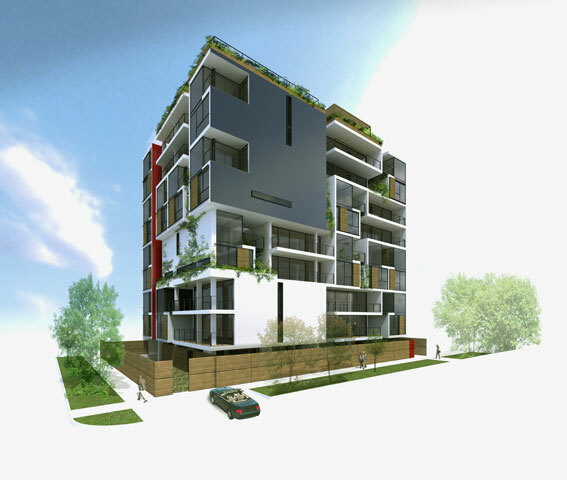 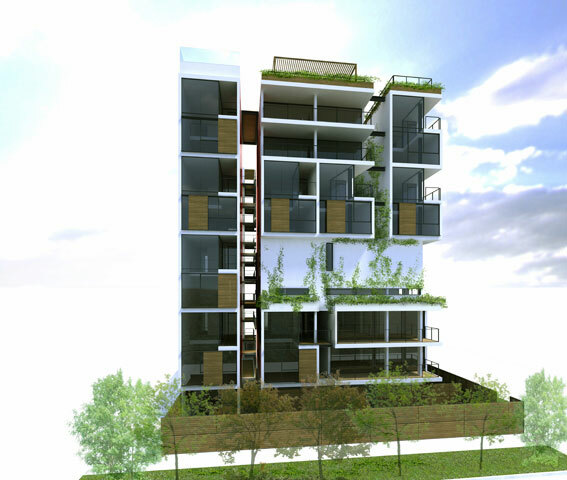 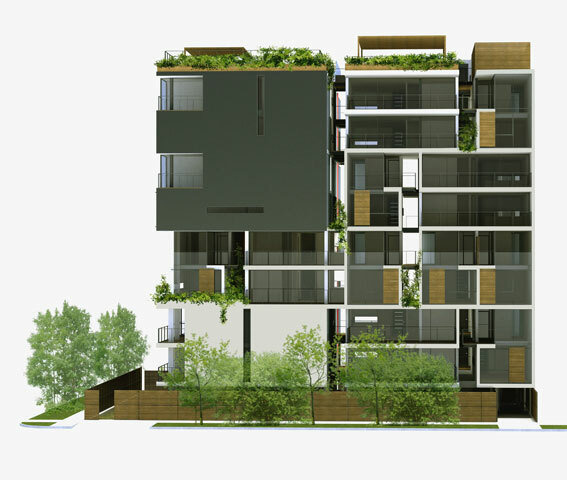 This project responds to a strict functional plan, made up of 28 loft apartments, measuring 100 m2, 36 car parking spaces and 30% of free space and communal areas. 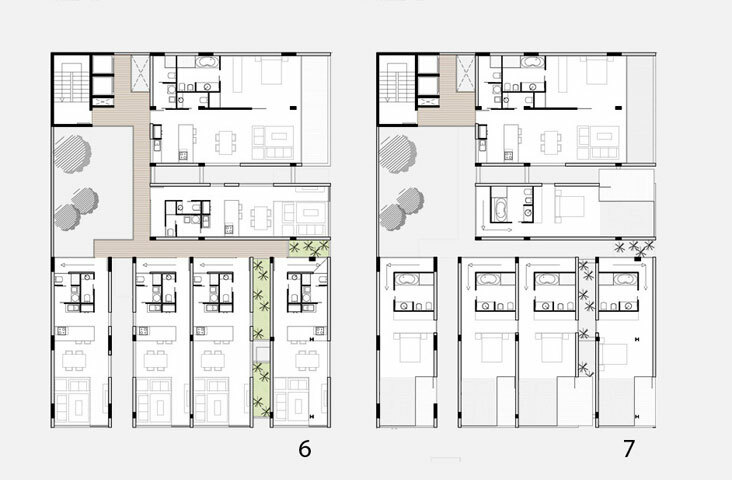 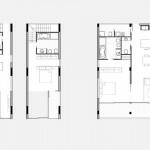 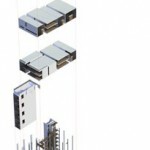 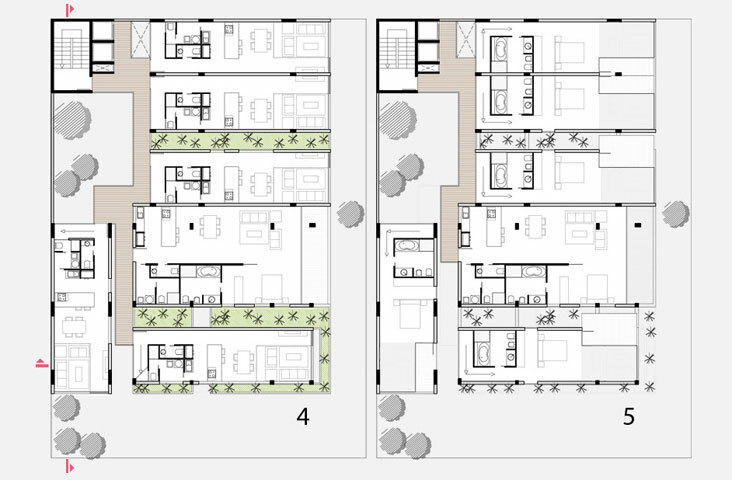 The building was worked on with 50m2 units, that are adjoined either horizontally or vertically and define the two sole typologies of the building ‘the flat’ and ‘the duplex’, both measuring 100 m2, creating flexible combinations adaptable to whatever situation. 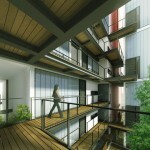 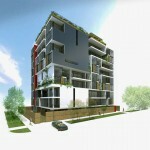 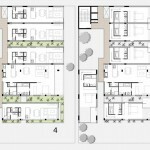 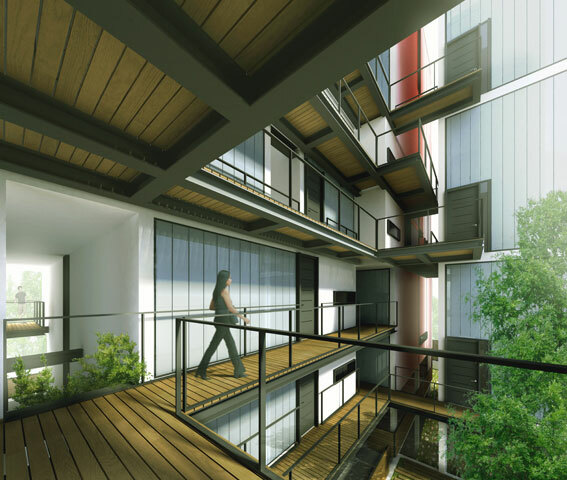 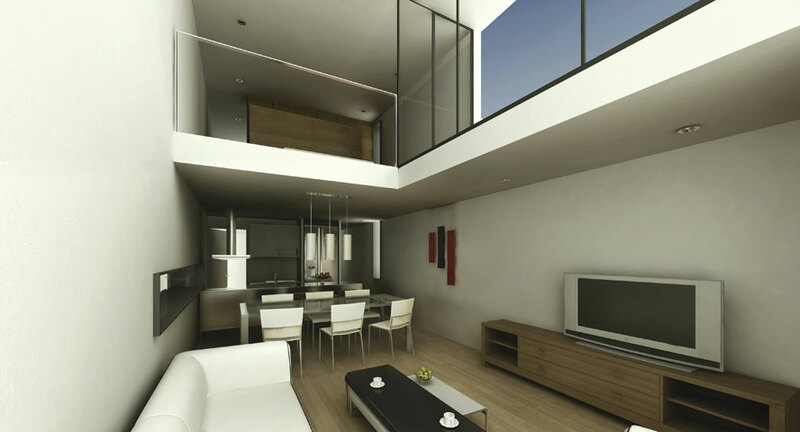 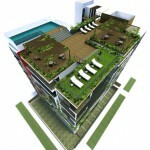 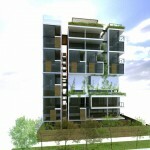 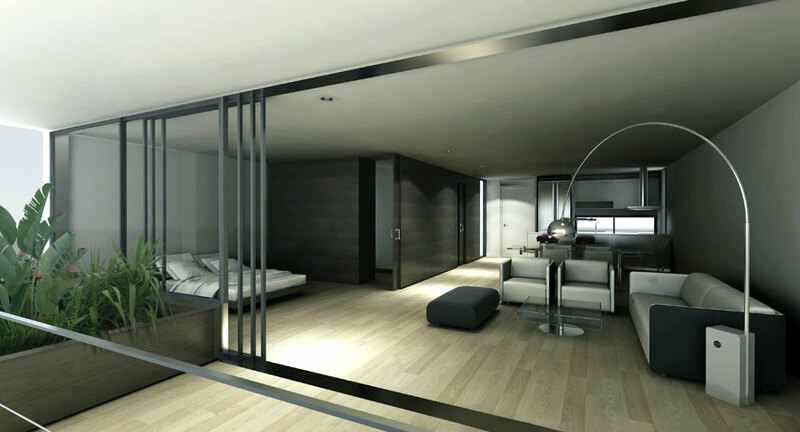 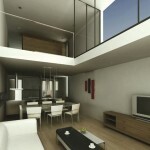 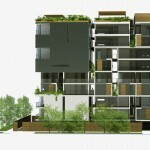 Each loft apartment or group of loft apartments connected or isolated by the help of corridors of light and vegetation create a different situation which allows a certain personalization of the apartments, and also make it possible for each loft apartment to be ventilated and illuminated by almost every façade. 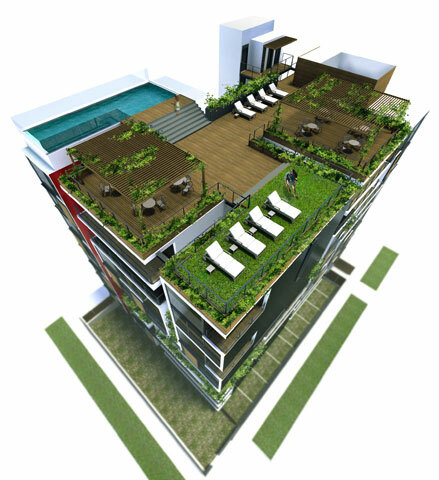 All this without forgetting its optimum positioning and views. 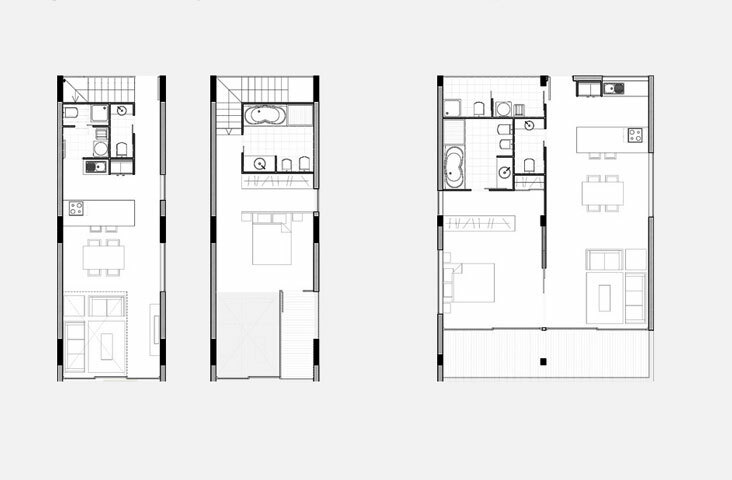 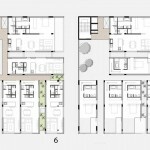 For the internal layout of the loft apartments, the kitchens, bathrooms and staff quarters were grouped together, creating a type of standardized set. 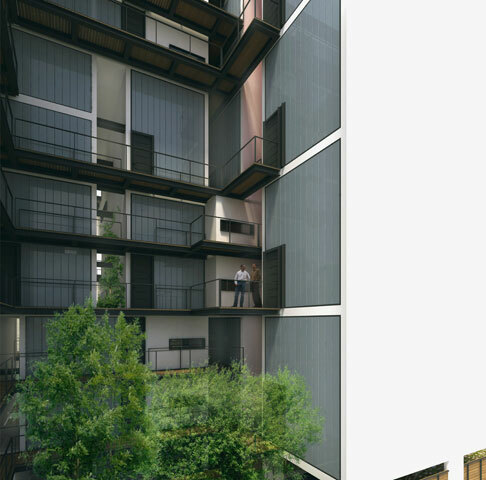 Despite the interiors of the loft apartments being identical within their typologies each can vary on the exterior, and more precisely on the terraces and the vegetation.